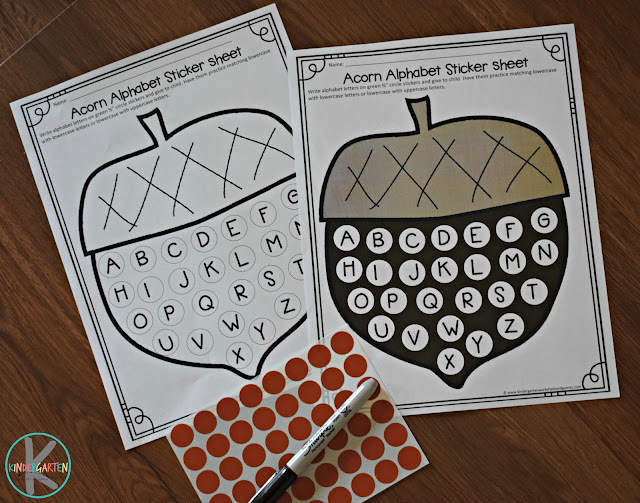 You are going to love this clever, fun, hands-on, and FREE fall alphabet sticker activity for preschool, kindergarten, and first grade kids. It is super low prep using circle stickers. 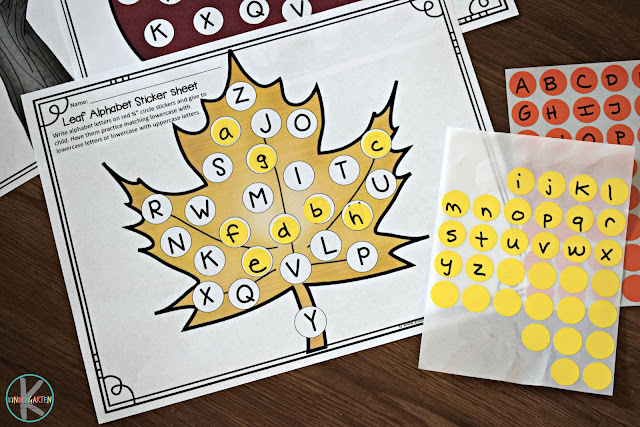 Pick which fall alphabet worksheet you would like to use. There are a variety included like a tree, apple, pumpkin, leaf, and acorn. Print the worksheet(s) in color or in black and white to save on ink. 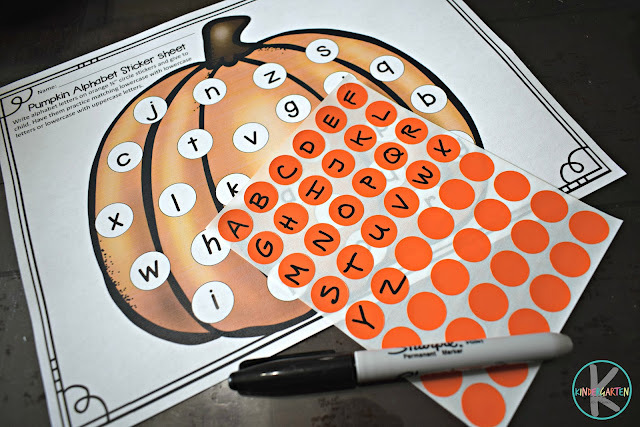 Then on these 3/4″ circle stickers use a sharpie to write upper or lowercase alphabet letters to use while completing the worksheet (s). Complete instructions are included in the free download. 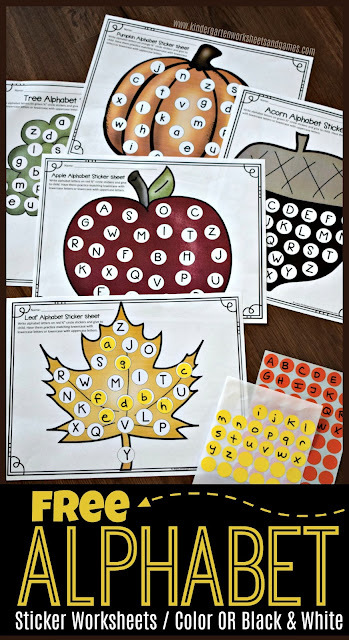 Kids will have fun using circle stickers to complete these fall pictures while practicing identifying uppercase and lowercase letters at the same time. Plus the peeling and sticking is actually wonderful for developing and strengthening fine motor skills.